Delta customers now can use fingerprints instead of their boarding pass to board any Delta aircraft at Reagan Washington National Airport (DCA). Delta’s biometric boarding pass experience that launched in May at the DCA Delta Sky Club is now integrated into the boarding process to allow eligible Delta SkyMiles Members who are enrolled in CLEAR to forego a paper or mobile boarding pass in favor of using fingerprints as proof of identity to board their plane. The final phase of Delta’s DCA biometric boarding pass test, coming this summer, will allow Members to also use their fingerprints to check a bag. 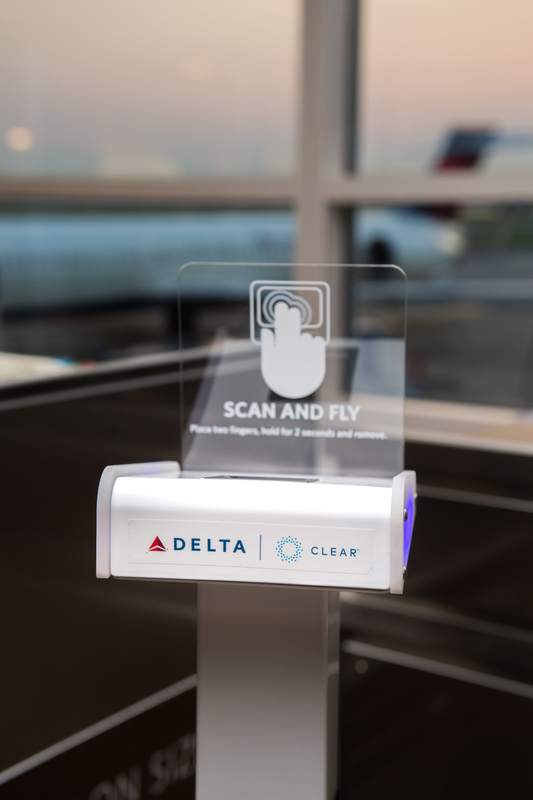 Delta is partnering with CLEAR to power the back end of its pioneering biometric boarding pass experience. The DCA pilot is testing how Delta and CLEAR’s systems work together while laying the foundation for Delta to deliver a more convenient customer experience broadly in the future. Being part of the initial tests means that eligible customers will be able to traverse DCA as they do today and simply use their fingerprint instead of pulling out their boarding pass. Participating in the test is optional. During the pilot, Delta customers with a SkyMiles number and who are also enrolled in CLEAR are eligible for the biometric boarding pass experience. CLEAR will capture and use both biometric and SkyMiles information to identify customers at bag drop, Delta Sky Club entry and boarding. Today: Eligible Members can now use their fingerprints to enter Delta Sky Club and board the aircraft at DCA. The biometric boarding pass experience remains optional. Coming Soon: Delta plans to extend passenger biometrics as ID and boarding pass to Delta’s DCA ticket counter work stations for bag drops.